Sought after Corner with quick access to stair exit/entrance! Unit has spacious floor plan and two master bedrooms! Stunning views of mountains, and the river. In the winter you get views of downtown Reno! Secured Entry! Bright and open living and dining areas. One Parking space in secured common garage. Walk outside the building and directly to the River footsteps away. 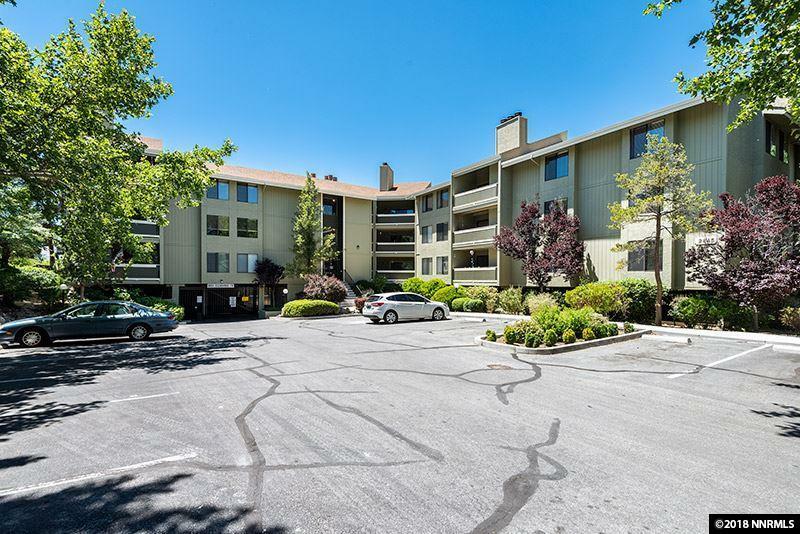 Close to Idlewild Park, walking/jogging trails, and Downtown Reno. Association fee includes water, hot water and trash. Listing provided courtesy of Clark Real Estate & Inv..
© 2019 Northern Nevada Regional Multiple Listing Service® MLS. All rights reserved. Information is deemed reliable but is not guaranteed accurate by the MLS or Harcourts NV1. Real estate listings held by brokerage firms other than Harcourts NV1 are marked with the BROKER RECIPROCITY logo or the BROKER RECIPROCITY thumbnail logo and detailed information about them includes the name of the listing brokerage. The data relating to real estate for sale on this web site comes in part from the BROKER RECIPROCITY Program of the Northern Nevada Regional MLS and is for consumers' personal, non-commercial use and may not be used for any purpose other than to identify prospective properties consumers may be interested in purchasing. Data last updated: 2019-04-24T17:19:49.363.